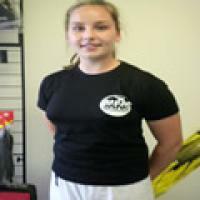 These top quality T-shirts have been specially designed and make great casual wear but are not to be used for training purposes. They look fantastic, are light weight, super comfortable and inexpensive so why not get yourself one...... ORDER NOW ! NOTE' All merchandise ordered at time of membership is delivered postage free !